4 mini jars (35g) of amazingly delicious nut butters. 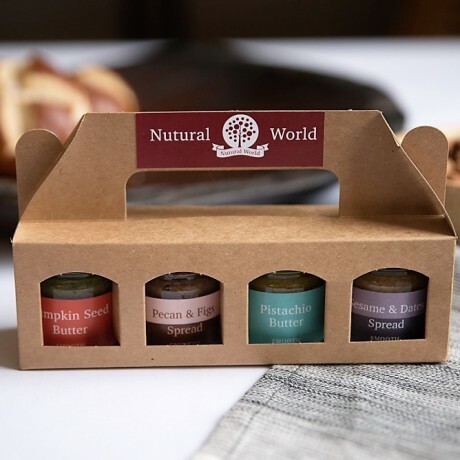 Choose any 4 jars from Nutural World's extraordinary nut/seed butter range, select your texture preference and receive an attractive gift package ideal for any gift occasion. 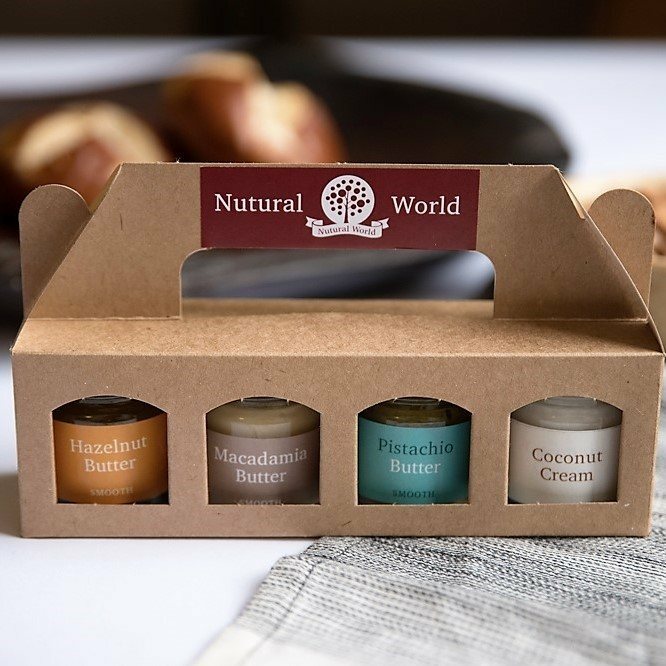 Perfect gift for Xmas and any other festive occasion – or just a nice gesture to your loved ones. Excellent source of vitamins and minerals, these highly nutritious nut butters are healthy and enjoyable on their own (try them on freshly toasted bread) or as an ingredient in other dishes.